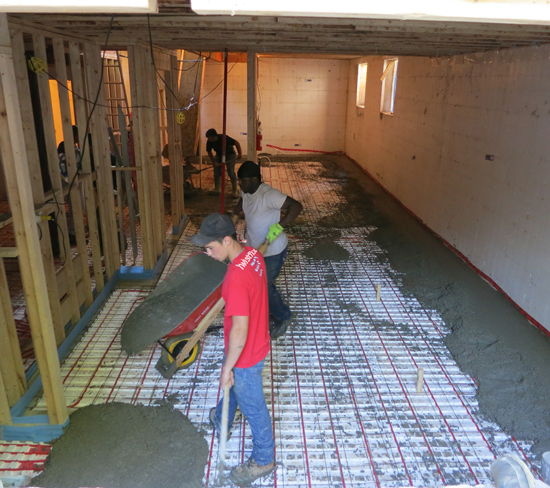 As part of the extensive renovation work involved in the basement conversion, a new floor slab was laid in order to provide a level walking surface. This slab needed to be chemically hardened and Microsealer was decided upon as the most effective solution. Microsealer has many benefits including the inhibition of lime efflorescence which can block air-gaps in basement waterproofing membrane. Lime buildup in pipes and plumbing systems can cause serious problems and so Microsealer is the perfect product for this type of project. A water-based, odourless liquid, Twistfix Microsealer penetrates deeply into concrete upon application, reacting with the hydrated cement to a depth of 15mm. Silicate-active ingredients in the innovative formula then form monolithic structures within the masonry, making it stronger and more durable. The formula also improves the surface-wear charac­te­ristics of the concrete and reduces the penetration of oil. The silicone resin components of Microsealer cure, giving the concrete a strong water-repellent quality from within. This quality gives a strong resistance to lime efflorescence and water absorption at the surface. 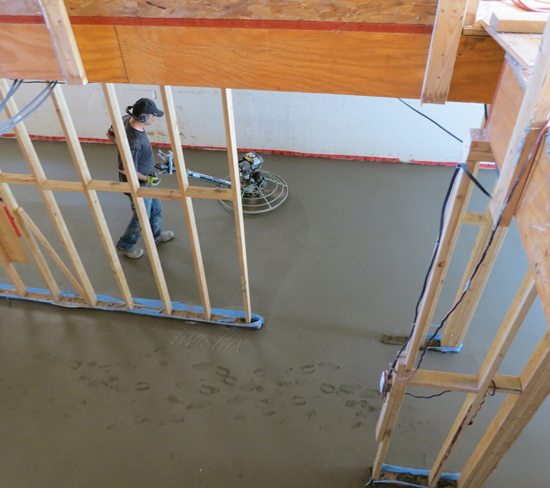 For new slabs allow the concrete to cure for at least 14 days prior to treatment.­ For existing floors the essential process of preparing the concrete surface to remove weak material via mechanical abrasion,must be undertaken before the floors can be treated. Microsealer is not suitable for use on floors having a deficiency in cement content. The product is also not recommended for use as a pre-painting surface preparation. This expertly-engineered product joins the Twistfix range of basement waterproofing products and is guaranteed to provide professional results every time when used according to the included instructions. For more information on Twistfix basement tanking systems, insulation products, wall ties and masonry repair products, please contact our expert team on 0845 123 6006 or email sales@twistfix.co.uk.